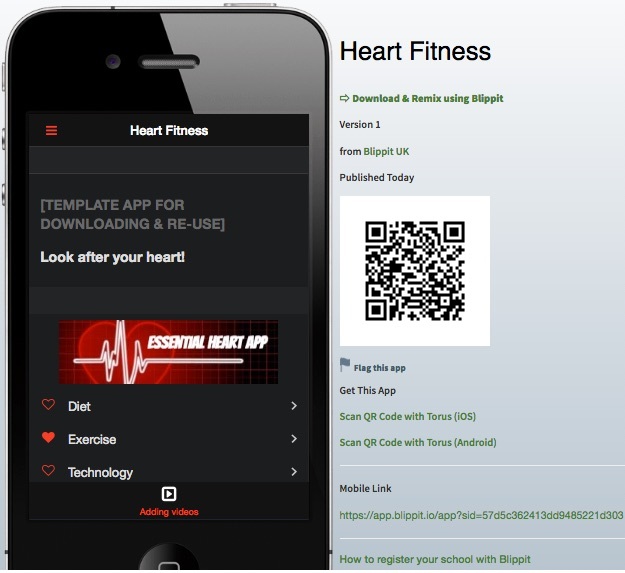 The Blippit App Maker has just become an even more flexible, creative tool for curious minds! With a renewed focus on coding using HTML we’ve done our utmost to retain the App Maker’s simplicity, keeping the drag and drop principle to make light work of complex tasks, while boosting more advanced features. Here are some new videos to support you if you’re looking to take advantage of the new features. 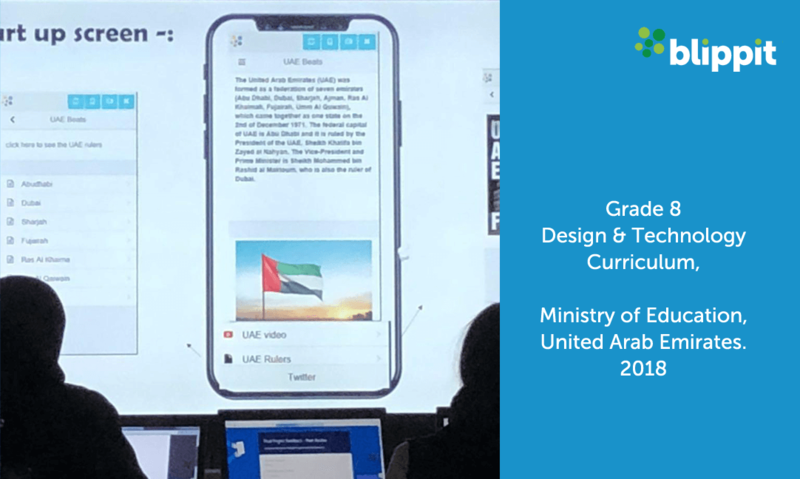 The new United Arab Emirates Design & Technology Curriculum is well under way with STEM themed app making projects and fabulous learning happening in schools such as this leading girls’ school. 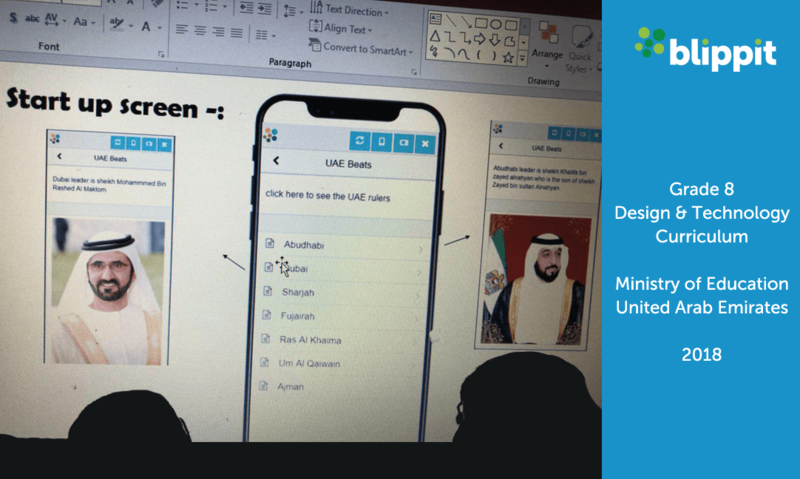 The attention to detail in these apps is very noticeable, as is the thought that has gone into the preparation for the learning, supported and emphasised in the new MoE created teacher & student handbooks. 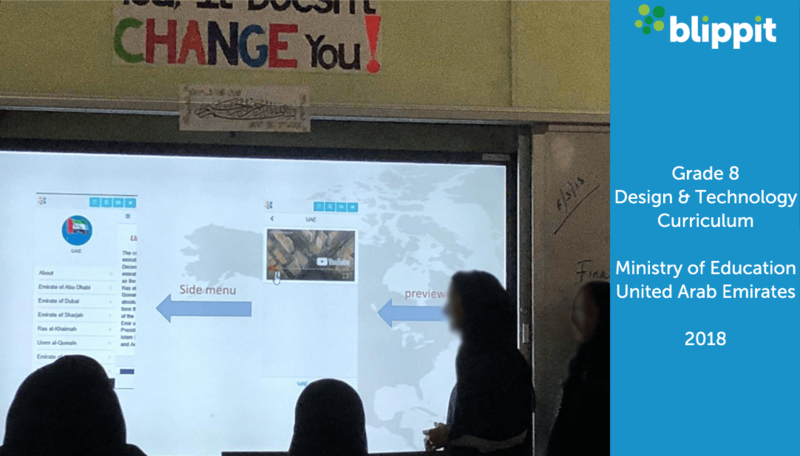 Here are some images of the girls’ activity and work from the classroom where students are seen presenting to peers the key features, content and design considerations. 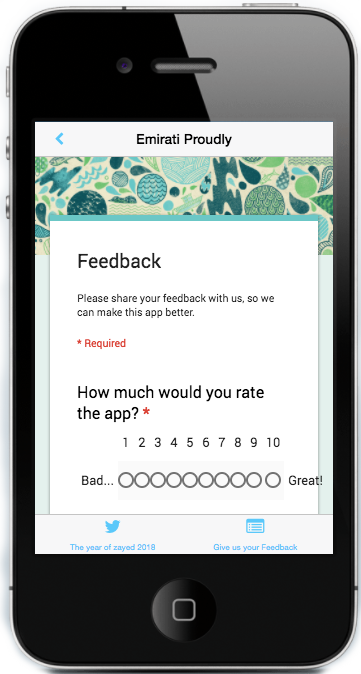 It’s good to also see the creative use of Google Forms in a number of the apps – you can see this in a screenshot of one of the apps lower down this article. 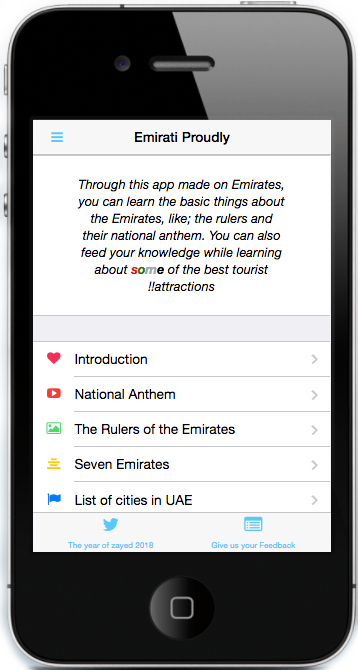 Considering that the UAE only began using Blippit in mid-January 2018 we’re impressed with the rate of progress. Congratulations to everyone involved. 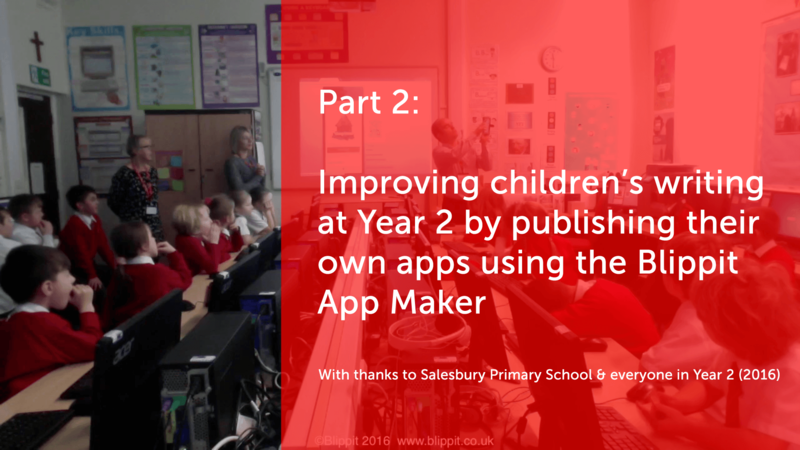 The last literacy-focused app publishing lesson with Year 2 happened last week. Both during and after the lesson we learned a lot about how the writing process was affected, even in more reluctant writers, by the addition of app publishing. Though the focus was so clearly writing improvement, when the children were asked, the prospect of Mummy or Daddy having the app on their phones was also featuring large in their minds. 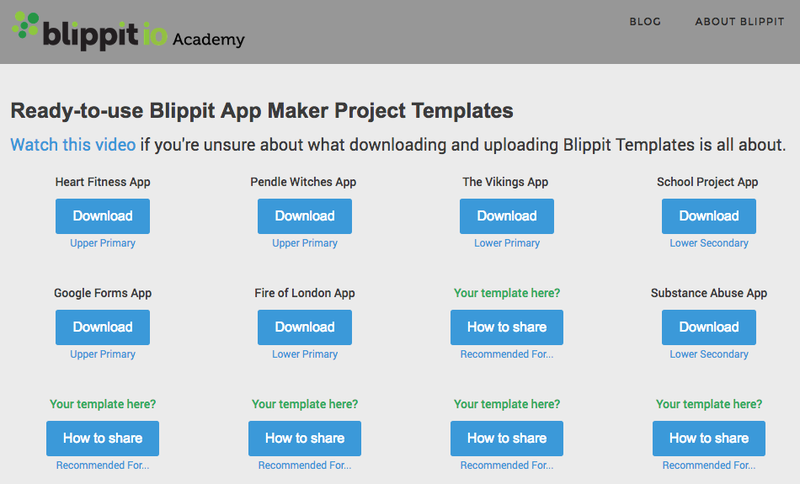 You can get the Viking App Template from Blippit Academy and get The Year 2 Project app from Planet Blippit. Listen now to part 2 with Assistant Head & Literacy Leader Mrs Emma Smallshaw, from Salesbury Primary in Lancashire, in action with her Year 2 class and reflecting afterwards with John Bidder from Blippit about the process as a whole and next steps. You can also read and listen to Part 1 of this project and if you prefer YouTube you can catch the project playlist here. Last week we pruned Blippit Academy right back to basics. What we’ve got now is a stripped back site that we’re aiming to build up again with the help of teachers using particularly Blippit App Maker. 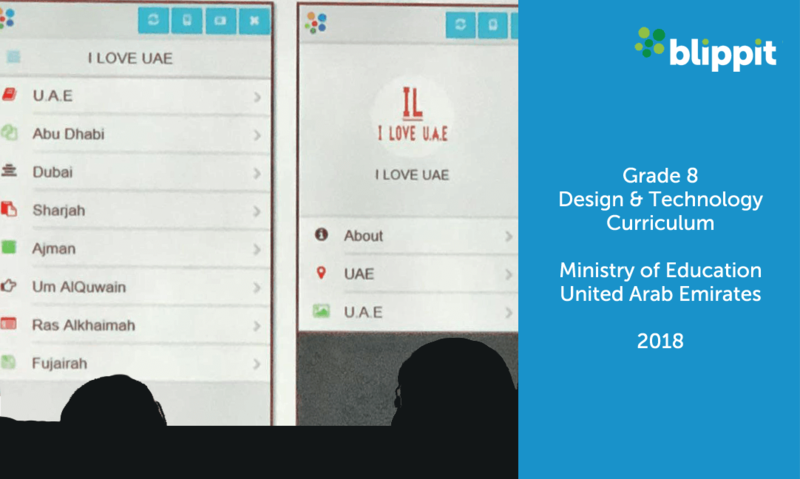 We’re really excited what’s happening in literacy via our App Maker templates. We’ve a couple of case studies under way in Year 6 & Year 2 that we’ll be sharing soon so that you can find your bearings a little more quickly when you’re teaching. 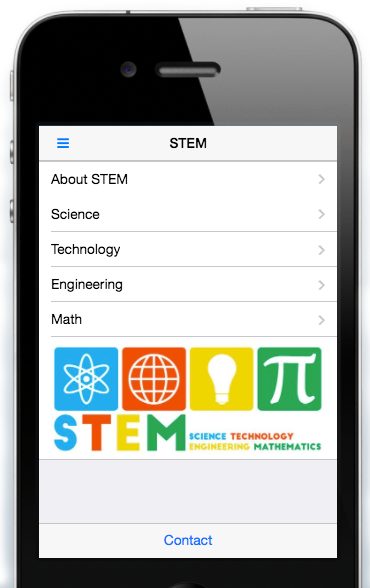 Have you made a scaffolded app for the children to use? Would you like to to share it with a growing community of other teachers via Blippit Academy with full credit given? 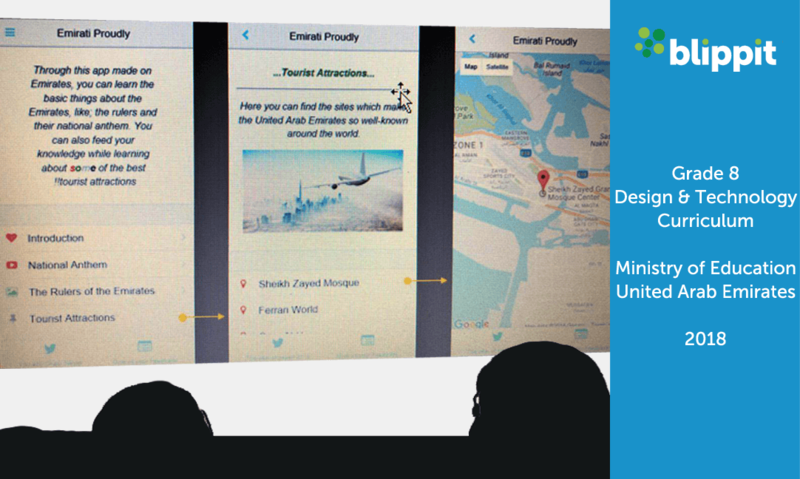 Visit Blippit Academy to check out what’s involved and to also try existing ready-to-go app templates which are ready to be uploaded into your Blippit account. Refer-to-Pharmacy allows hospital pharmacists and pharmacy technicians to refer people directly to their community pharmacist for free NHS services such as the New Medicine Service or a Discharge Medication Review. We’ve been working with Alistair Gray, Clinical Services Lead Pharmacist at East Lancashire Health Trust, on an idea to help spread of the word about Refer-to-Pharmacy. After an initial chat, Alistair quickly saw the potential of having an app, that he had complete control over, to aggregate sources of news, project updates, video, talks/events and so on for anyone wanting to know more about the project. With an hour’s training he very quickly made a really convincing job of the first ever ‘Refer to Pharmacy’ app and incredibly within 24 hours a QR Code and link were added to the latest print run design of the new R2P brochure. We feel confident that having an eye for detail, Alistair’s app will continue to evolve – in fact it’s at version 11 at time of writing! Blippit is really happy and proud to support awareness raising of such a great project with it’s roots firmly in the NHS. The fact that Refer-To-Pharmacy is being picked up internationally now too is a really positive sign. 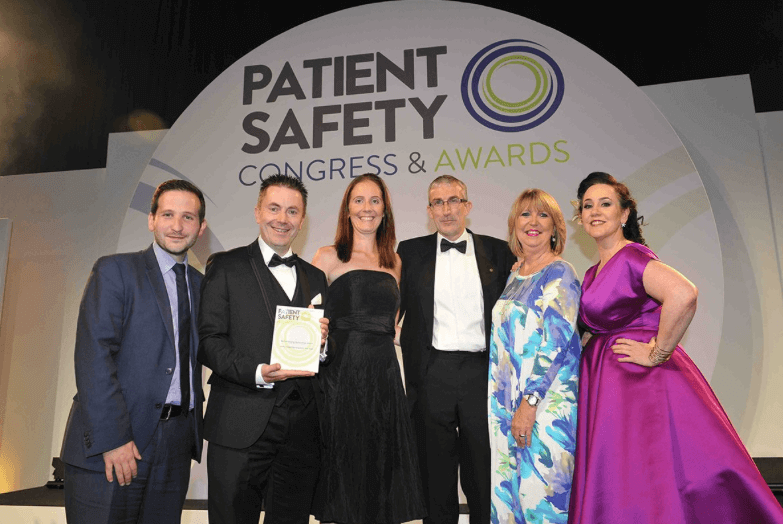 Refer-to-Pharmacy is a Patient Safety Award winning initiative; being the recipient of the Best Emerging Technology or IT award at the 2016 Patient Safety Congress. [panel style=”panel-primary”] [panel-header] Does your organisation have a project? [/panel-header] [panel-content]We’re in talks about a few other projects supporting the strategic goals of large organisations just now and we’ll hopefully be able to share more in time. 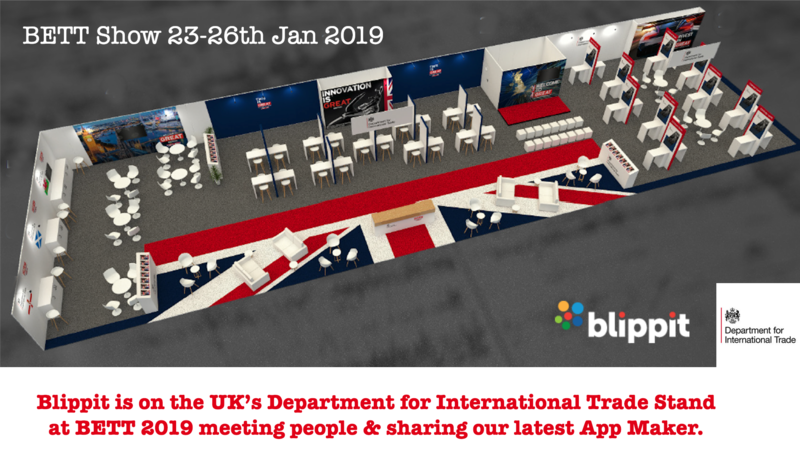 If you are from a large organisation, such as the NHS, and have strategic goals that could be supported in a similar way please contact us via support@blippit.co.uk with your idea. If your organisation has established links to education already and would like to discuss an app making project or competition concept for schools we’d be happy to talk. We’re aiming to help with scaffolding learning in the classroom using app making as the vehicle across any area of the curriculum. Children love making and publishing apps so why not? Below you’ll see a screenshot of Planet Blippit where we’ve published a template project app for children to adapt and make their own. Here’s how YOU can do this for any topic and any subject. 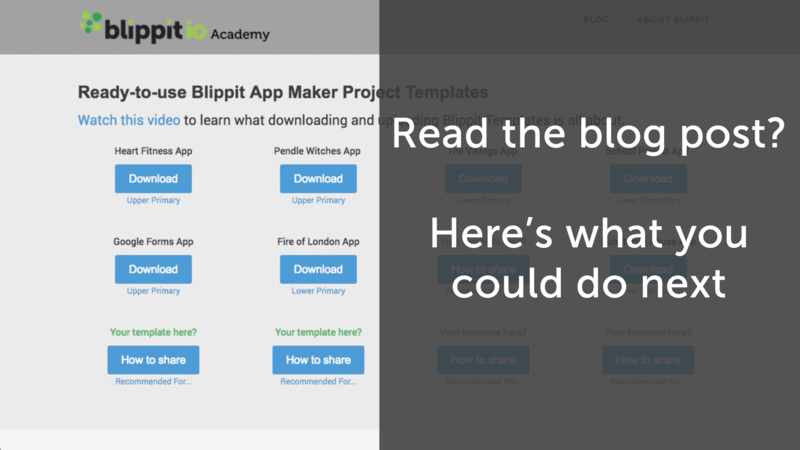 follow this video of how to download then upload a template into Blippit App Maker.